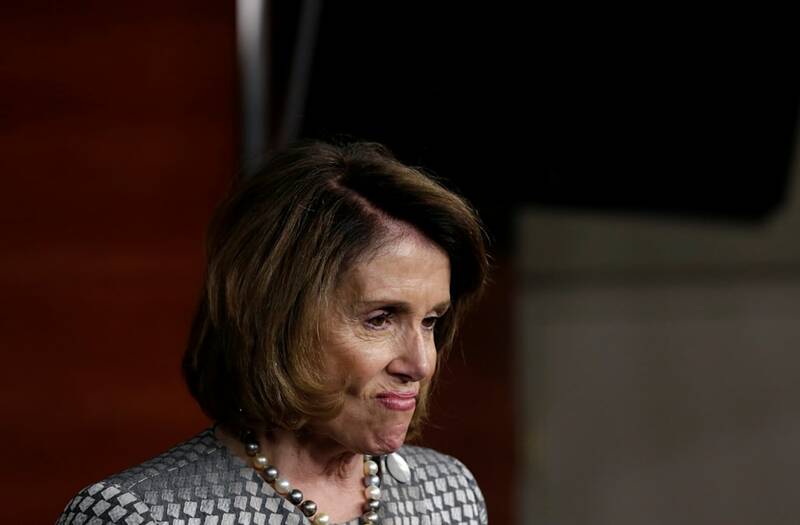 WASHINGTON — Pushing back on criticism from fellow party members after the Democratic loss in a Georgia special election this week, Nancy Pelosi said Thursday that she's "worth the trouble" as Democrats' leader in the House. "I feel very confident about the support that I have in my caucus," Pelosi said at a press conference in the Capitol after Republicans featured her in almost every ad attacking Democrat Jon Ossoff in the Georgia congressional race which he lost Tuesday. "I think I'm worth the trouble, quite frankly," she concluded. "I love the fray." Democratic critics say it's time to change the party's House leadership, which has been static for over a decade, to make room for fresh voices and a new direction. But Pelosi insisted she's already done that by bringing younger members into leadership. "We're paving a way for a new generation of leadership, and I respect any opinion that my members have," she said. "But my decision about how long I stay is not up to them." On Thursday, she gathered about a dozen dissenting Democrats, including Ryan, for a private meeting about how the party can move forward from the disagreement. The lawmakers declined to tell reporters what they had discussed, but said it was an initial meeting and that more may follow. While Democrats have been on a losing streak lately — going down to defeat in all of the special congressional elections so far this year — Pelosi said that would turn around soon. "History is on our side," she said, noting that presidents almost always lose House seats in their first midterm election. "You want me to sing my praises?" she asked defiantly. "Well, I'm a master legislator. I am a strategic, politically astute leader. My leadership is recognized by many around the country, and that is why I'm able to attract the support that I do." Pelosi added that Republican opponents will always go after the other party's leaders — "and usually they go after the most effective leader." Pelosi beat back a leadership challenge late last year from Rep. Tim Ryan (D-OH), with two-thirds of her caucus supporting her.